the Youth Team is always looking for players between the ages of 6-16 interested in getting involved with the game. 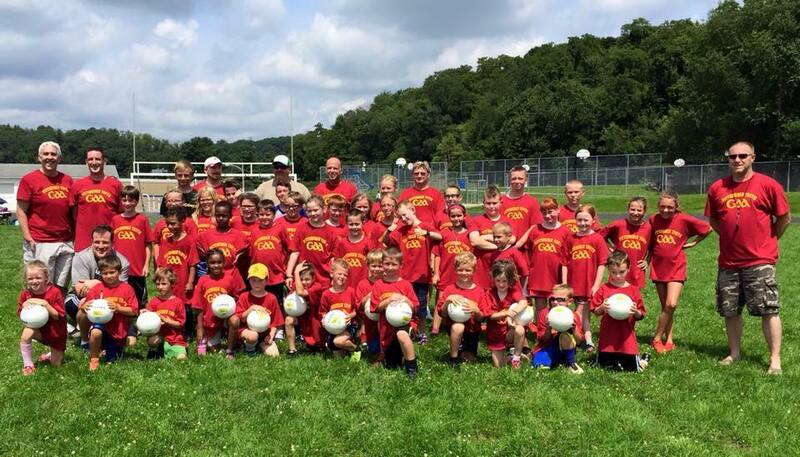 Pittsburgh GAA Youth Football was organized to encourage young American players to get involved in Gaelic games and promote this important part of Irish culture in the Pittsburgh area. A sport that has often been described as a hybrid of soccer, basketball and rugby, but so much more. The Youth team has produced over 50 youngsters playing Gaelic football. The Team has also produced several Minor Championships along with many NACB Minor Select players. There are currently a number of former Youth players playing for the men's team today. Q. Will coaches be certified and have appropriate youth clearances? A. Coaching will be delivered by certified GAA (the Gaelic Athletic Association) coaches and will also have the relevant PA Child Clearances. The board will also have appropriate clearances. A. Parent’s help is appreciated. Check-mark the application form if you are interested in coaching. We’ll hold a session before we start to help you understand the basics of the game. Q. My child can’t take part in the full 11 week program, can they come for a few weeks? A. Certainly, we’d like to give as much exposure as possible to the children. Q. How much does it cost to register my child? The cost is $50 per child, if registering before April 30th, maximum $100 per family, and $60 per child if registering after April 30th, maximum $120 per family. Q. What does registration include? A. We will supply every child with their own Gaelic football, Youth Program T-shirt (available mid-program), National registration.